Author Caroline Foran discusses what genius means to her in the context of living with anxiety. Caroline Foran discusses how, ‘genius’ to her, means going against the tide of what’s expected and embracing who you are. 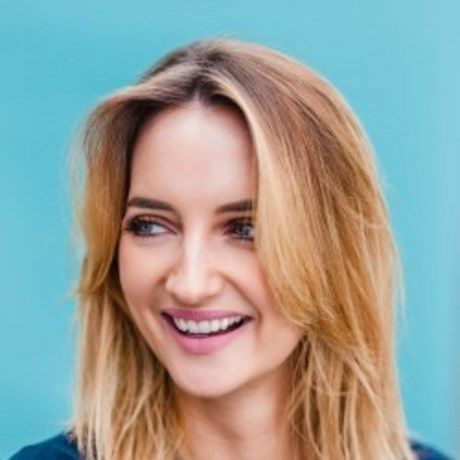 Caroline Foran is a freelance journalist and brand strategist. She is also the author of number one best seller “Owning it - Your Bullsh*t Free Guide To Living With Anxiety” which has been number one for three months solid! Caroline began experiencing crippling anxiety in her early 20s and wished desperately for a clear path through this difficult time. Now, with the aim of helping others who face the same difficulty, she has written it. In Owning It she chronicles her journey from the kind of all-consuming fear that left her unable to work, incapable of leaving her house and, eventually, crying in bed on a daily basis, wondering if, and how, she would ever get through it. But then she did – bit by bit she found a way to own her anxiety. Caroline is not a healthcare professional and she doesn’t claim to be. What she offers in Owning It is experience, empathy and the understanding voice of someone who’s felt the full brunt of anxiety, as well as a whole lot of research and expert input. Outside of being a published author, Caroline runs GAFFinteriors.ie with her business partner, their goal being to offer accessible affordable interiors that still look incredible. She is also beauty editor with the Sunday Business Post and contributes regularly to other publications. She is also now in the process of writing her second book.